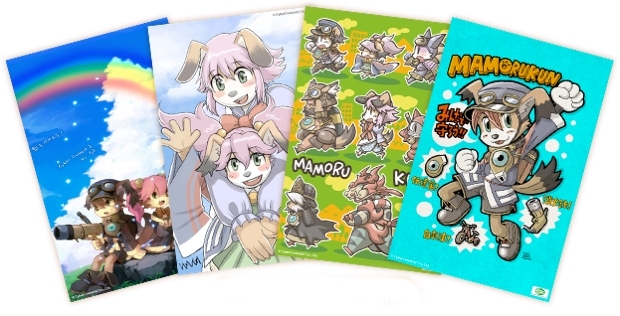 Game company CyberConnect2 has launched an English-language charity called the Mamoru-kun Reconstruction Support Project. They plan to see original illustrations to help rebuild the March 11, 2011 disaster area in Japan, with all profits going to the Japanese Red Cross Society. They've already posted a few for sale on online e-commerce site gumroad, including one by company president Hiroshi Matsuyama. They're all pretty cute. CC2 says that they will continue to add illustrations to the project to support those that still need help in the disaster area. This is just one of the many things CyberConnect2 has done to support victims of the Great East Japan Earthquake. Last year, on the day of the earthquake, they opened the doors of their Tokyo studio to the public to provide shelter. They also started a disaster relief fund, kicking it off during a Japanese Solatorobo event. If you feel like helping out, check out the available works here. They're a steal at about $1.30 after conversion.